Dalziel Racing :: Harlow Gold to tackle another Group 1 Oaks! ONCE the dominant force in South Australian racing, the Lindsay Park stable is again poised to flex its muscles at Morphettville’s bumper meeting on Saturday. The training team of David and Ben Hayes and Tom Dabernig had an impressive nine acceptors across five feature events when the eight-race card was finalised on Wednesday morning, with tough 3yo Filly headlining the team in Group 1 Oaks. 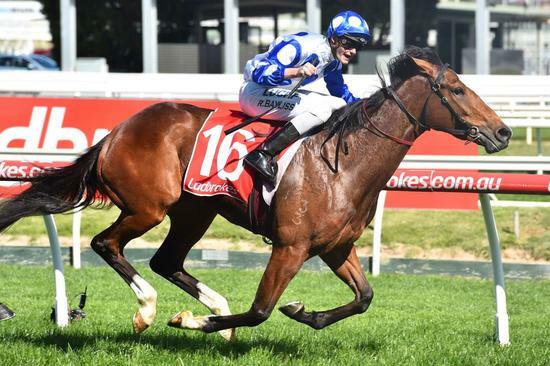 As well as having three runners in the Group 1 $1 million UBET Classic and two starters in the Group 1 $500,000 Schweppes Oaks, the stable’s highly rated filly Fuhryk lines up in the Group 2 $500,000 UBET Euclase Stakes (1200m), while last year’s Euclase winner Faatinah will contest the Group 3 $175,000 DC McKay Stakes (1100m). Ben Hayes said their leading Oaks contender Harlow Gold had worked impressively since a last-start fourth on a heavy track in the ATC Oaks at Randwick on April 8. After a Group 1 third in the Vinery in Sydney the daughter of Tavistock had nothing go right for her in the $1m ATC Oaks on Day 2 of the Championships yet still managed to cling on bravely for fourth. 'Unfortunately, we have drawn terribly in what can be a tricky starting point at Morphettville' Said Manager Wylie Dalziel. 'She is the most accomplished filly in the field and still looks the horse to beat for mine. Hopefully we get some early luck and with Reagan (Bayliss) going back on board I am confident she can figure on Saturday'. Harlow Gold has race just 11 times for two wins and five minor placings, two of which have been at Group 1 level (and two Gr 1 fourths) and there aren't too many fillies going around who have achieved as much in their classic year and so deserving of a Group 1.